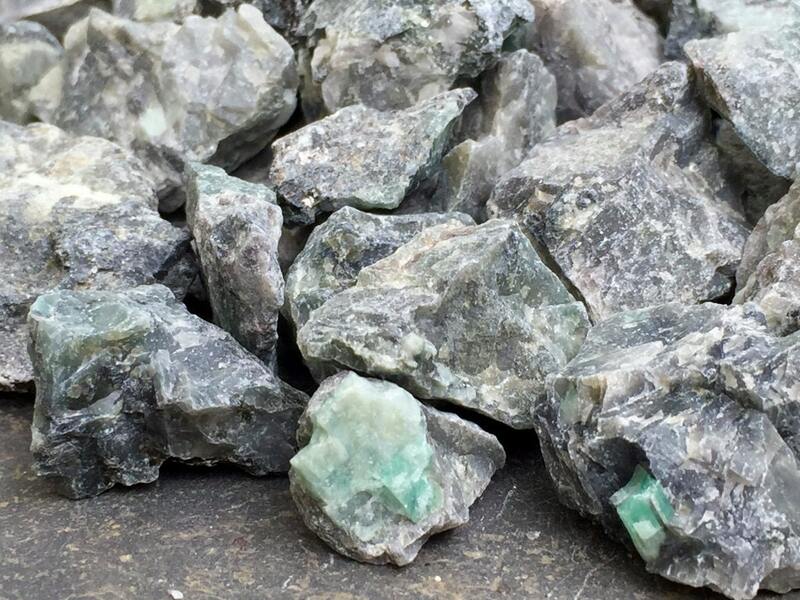 Set of two (2) Raw Emerald Chunks in a naturally sparkle filled matrix. Perfect for your pocket, Chakra and Reiki work, and Crystal Gridding. If you prefer a particular shape, please mention in the "notes" section during the checkout process; otherwise, please let us select the pieces for you! 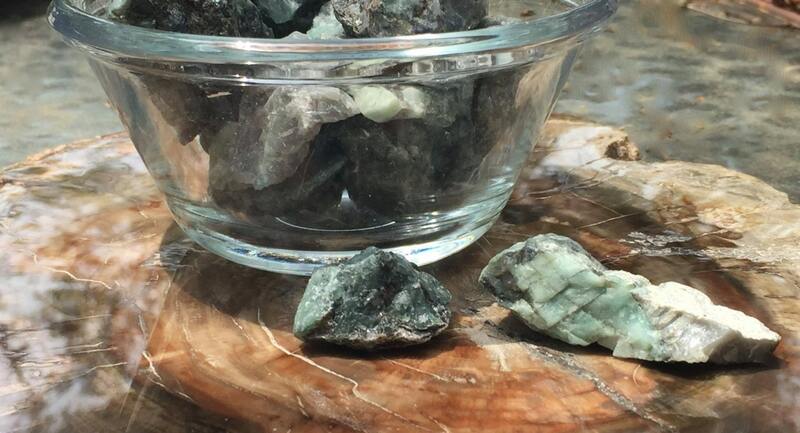 Called the “Stone of Successful Love,” Emerald opens and nurtures the heart and the Heart Chakra. Its soothing energy provides healing to all levels of the being, bringing freshness and vitality to the spirit. A stone of inspiration and infinite patience, it embodies unity, compassion and unconditional love. Emerald promotes friendship, a balance between partners, and is also known for providing domestic bliss, contentment, and loyalty. It was dedicated in the ancient world to the goddess Venus for its ability to ensure security in love. Emerald is also a stone of great vision and intuition, associated with the eyes and sight, long believed to foretell future events and reveal one’s truths. It is a stone of wisdom, enhancing memory and increasing mental clarity. It combines intelligence with discernment and brings to the conscious mind what is unconsciously known. Emerald also helps to improve focus and intent, activating psychic abilities and opening clairvoyance. Traditionally it was used as a protection against enchantment and spells. Emerald is associated with the Heart Chakra. Delightful piece! Quick ship, larger than expected. 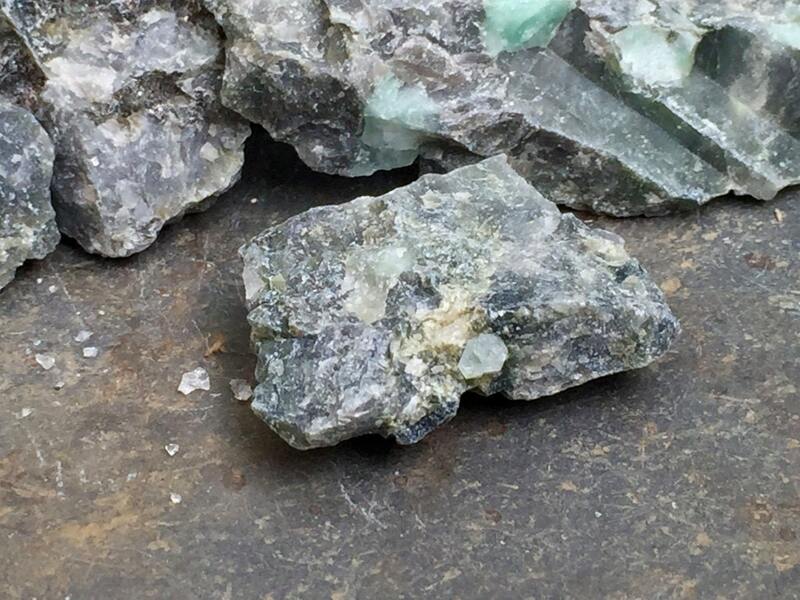 Nice size piece of raw emerald and all items ordered came with charming gift and or storage bags. Bonus gifts too! Highly recommend this shop! !